The Antonio Conte Real Madrid saga should soon come to an end with an announcement today regarding the former Chelsea boss replacing Julen Lopetegui. Until then, however, there’s huge amounts of speculation flying about, and the latest involves Manchester United in a big way. According to the MEN, Conte to Real Madrid is not necessarily a done deal as the Italian tactician also has his eyes on the United job amid doubts over Jose Mourinho’s future. The 49-year-old also notably replaced Mourinho at Chelsea back in 2016, and proved a big success, lifting the team that finished 10th under Jose to being runaway champions in the space of a year. 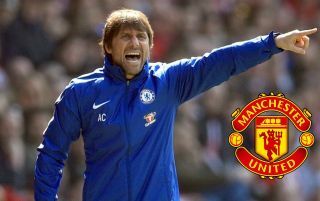 However, the report also suggests that if, as is probably more likely, Conte ends up taking the Real Madrid job, he would be interested in signing as many as four Red Devils players. The source in the piece is quoted as saying Conte would like to work with them at United, but also adds he’s always wanted to sign Paul Pogba, Alexis Sanchez, Romelu Lukaku, and Ander Herrera. That last name is a bit of a surprise given his lack of regular playing time in Mourinho’s side lately, but if the former Blues manager ends up getting the job at the Bernabeu it could mean a big raid on MUFC in the very near future.